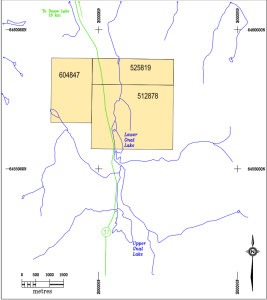 The Gnat Pass property is located in low rolling terrain on the Stewart-Cassiar highway, 24 Kilometres south of Dease Lake, British Columbia and 60 Kilometres north of Imperial Metals Red Chris mine. Quartz Mountain Resources, as associate company of Hunter Dickenson Inc. acquired a 100% interest in the property by way of a purchase agreement. 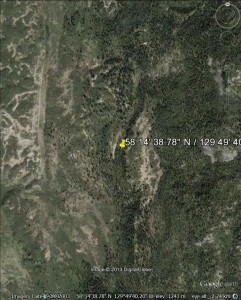 Bearclaw retains a 1% Net Smelter Royalty on the property up to a maximum aggregate amount of $7,500,000.